A few interesting stories, all related to Verizon, have popped up today. 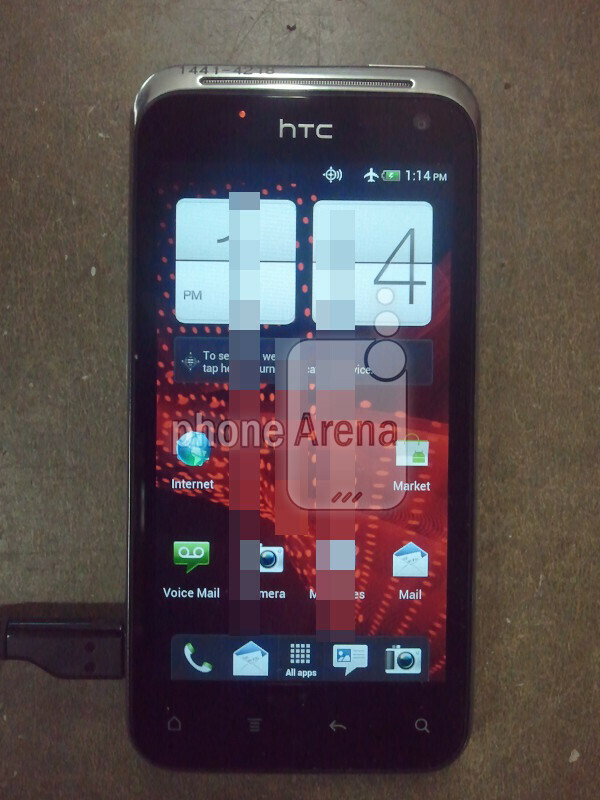 The first story relates to a mystery HTC handset that we showed you last month. 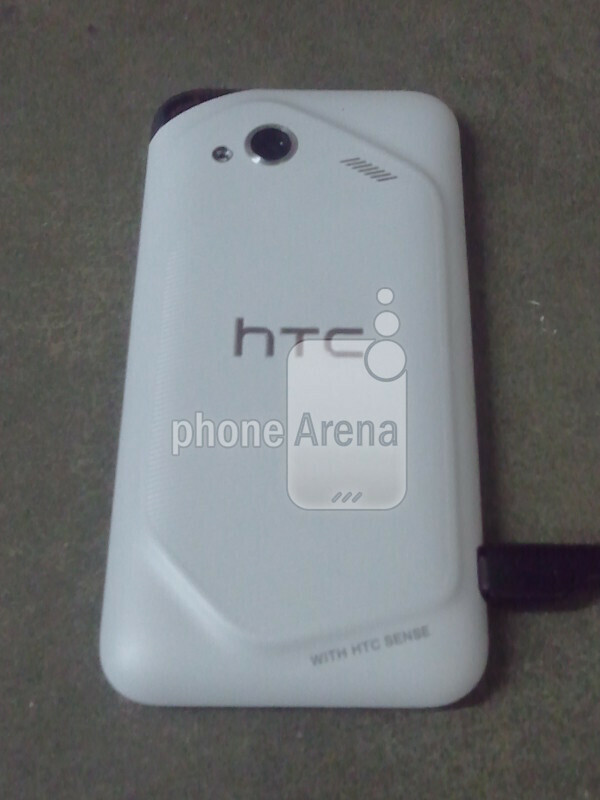 The back cover resembled the ones on the back of the Droid Incredible series and at the time, we thought that it could be the HTC DROID Incredible 3 or perhaps the HTC Fireball. The latter's name came up on a screenshot of Verizon's internal systems. Now, Droid-Life has confirmed our exclusive from last month. The site says it has a source that confirms that the HTC Fireball is the HTC DROID Incredible 4G, the 3rd generation model in the series. Our source back in February told us that the phone would have a Super AMOLED screen, harkening back to the AMOLED display on the original model. Because of a shortage of such screens at Samsung, the original Droid Incredible eventually had to shift to an S-LCD screen. The size of the screen on the new unit was unknown, but we were told that the device would be driven by a dual-core 1.2GHz Snapdragon processor. 1GB of RAM is expected on board along with an 8MP rear-facing camera and a VGA front-facing shooter. 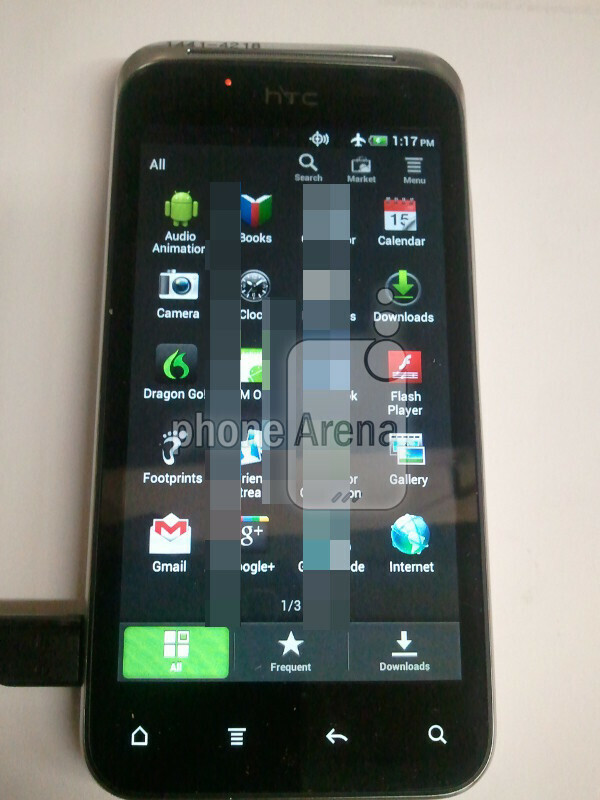 Android 4.0 will be installed out of the box while the device will have LTE connectivity, hence the 4G in its name. Droid-Life's source also passed along the word that Big Red will soon be offering the LG Lucid 4G, expected to be a mid-range Android device. And Verizon will also add to its peacock-like collection of the Motorola DROID RAZR by adding a blue version to the black, white and purple models it now offers. Is this the Droid Incredible 4G? I just hope the battery on the HTC is somewhere between 2100-2500, other wise LTE will be a battery hog making the experience very short lived. As an original AMOLED Incredible owner, I'm actually sad to say that this looks like a pass. I kinda like the design. 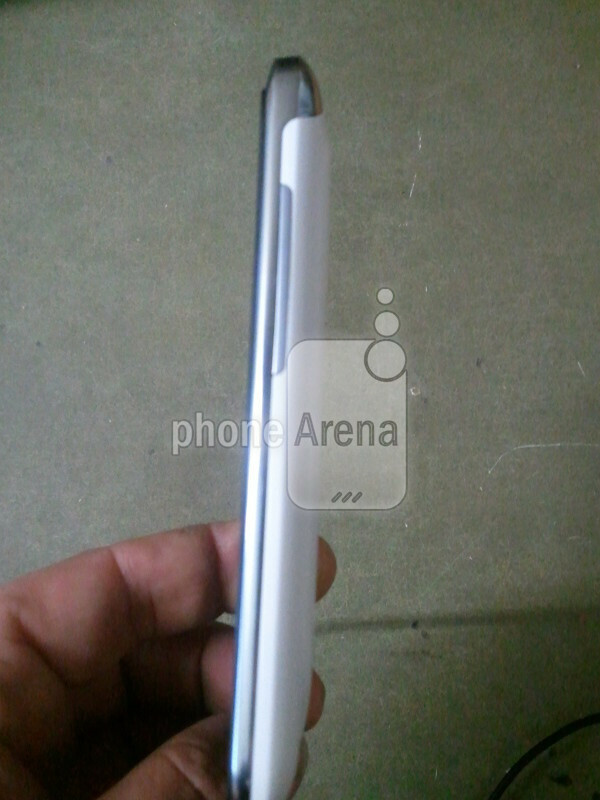 This look like the one s if it is not qHD and it should be the S4 if that is the case. this'll be pretty nice if it has a 4.0" SAA Display, the Incredible S/2's transitional function keys and an S4 processor. Sigh... Atnt gets the Htc One X and Verizon gets this? Come on let's get with the program here!! Hmm... Would I rather have a dual core or a quad core... Why does vzw always get the 2nd or 3rd best.? AT&T's has a dual-core S4 and the Rezound was HTC's best handset until just a few days ago. it's okay, just give it a few weeks and Verizon will be getting a phone better than the One X from HTC. it's just the way of things. yeah, the S4 is okay. uhhh..no. xD the Tegra III is more powerful having 4 ARM Cortex-A9 cores vs. the S4's pair of A9s and with the Tegra III's 4+1 core approach it's pretty much just as power efficient as the S4 even with it's 28nm manufacturing process. the only way you're going to beat the Tegra III is by fighting fire with fire and by that i mean Quad-Core vs. Quad-Core or with at least a pair of A15 cores. .......... S4 isn't Cortex A9. It's a cleansheet design implementing the ARM ISA standards. Tegra 3 is blown away by Snapdragon S4 in CPU benchmarks. oh yeah, it is Krait isn't it? it always throws me off because it still uses Adreno 225 graphics and i always think it's just a scaled down version of the current generation S3. Uhhh..No, i know what i said. the S4 is more powerful than the tegra 3.www.androidauthority.com/a-preview-of-the-krait-based-s4-vs-tegra-3-and-exynos-4210-55639/ the tegra 3 might have more cores, but the s3 processes faster. 3.3 DMIPS/Mhz compared to the Tegra 3′s 2.5 DMIPS/Mhz and the old S3′s 2.1 DMIPS/Mhz. The Tegra 3 is utterly destroyed when it comes to processing power. and The Adreno 225 is almost as good as the T3's GPU. The only way you are going to beat the T3 is with the S4 And the 225 is new, what was in the S3 was the 220.
yeah, my mistake man. i forgot this was based on Krait. i've never really been impressed by Adreno graphics. they've always taken a back seat to Nvidia and the multitude of cores in their GeForce series and to the power of PowerVR's SGX series. the Tegra III came on a good enough time frame in the Transformer Prime but the S4 is coming at a time when it's just best to wait for next generation OMAP and Exynos devices so i don't really think much about it. READ. I wrote the QUAD, not dual. and anyways those 2 processors are nowhere near production ready. they might not be available until next year and the TIOMAP5 is very likley coming out late this year and maybe even next year. Right in time for the quad core S4 The 4xxx quad core is what will be in the galaxy s3. and that is an A9. It is said to be 26% faster than the old exynos. And if qualcomm is have shortages of chips, what is to say samsung wont either? i know what you said but the Galaxy S III is also said to be using a dual-core Exynos 5xxx. who's right and who's wrong? i don't know but i do know that anybody who cares could soon wait 2 or 3 months now for the OMAP5 and the Galaxy S III especially if this delay holds up all the versions of the S4. why would it be safe to assume that Samsung will make the same mistake Qualcomm did? I am saying if qualcomm is delayed samsung and Ti could be as well because the materials used to develop these 32 and 28nm chips would be in shortage. I have read from TONS sources that the phone will have a quad core 4212 or wtv, and not a dual core. is anyone even power using their phones here? it isnt about the stability of OC or the efficiency per core so much as the fact that samsung is crapping out a phone all the time. this means lots of developmental turnover for devs... like... modding root devs, which means they abandon development for phones and move to their next fun phone. Gnex? SII?... look how much development is in the Evo line on sprint! The s4 is NOW. non of these phones are considerable for a few diminishing facts, set storage capacities, batteries designed not to be removed which means no upgrade ability there either! here we are talking about geek states and pipe-depth and other cpu and gpu specs when all the current gen models are flawed in their perfection. Also, forgive my ignorance, but WHY is there the tw camera icon in the apps drawer? if its sense UI then no samsung is going to be in there, propreitary screen technology or not! yes Nvidia is better, no the cpu architechure isnt, god its crazy how powerful these devices are getting, but the s4 lifespan has only begun, if you look at its road map, things are getting crazy! Adreno 225 is an OCed 220, Teg3 is only slightly beating Adreno 225. One more thing you are all forgetting: Teg3 is NOT compatible with LTE... HOWEVER, s4 has the modem for LTE... and its directly on the die. how do you think that will change the game for power users and non? thats where the Edge lies for many. To be honest i want a One varient, but ill probably be going with either sprints current one or just hold off until they adapt Tegra 3 to be compatible with LTE, anyone who knows their wireless knows LTE is the future, it by potential can be called a real member of the 4th gen of wireless technology. i didn't forget for a minute that the Tegra III isn't LTE compatible while the S4 is and i would probably take an S4 powered phone over a Tegra III powered one for that reason however it's highly unlikely that i would take either at this point. the OMAP5 is just around the corner using REAL ARM Cortex-A15 architecture and it of course will be LTE compatible. i'd probably take an OMAP over an Exynos nearly every time until the Exynos gains that LTE compatibility because Samsung and Texas Instruments have been pretty neck at neck nearly this whole time. the most important thing to remember about buying a phone if you're concerned about support is to look at the big picture not what's just hot right now. for instance my Droid Razr that's powered by an OMAP4 still stacks up just fine to these newer SoCs being a past generation SoC and i'm not pressured at all about getting a new phone. but if it were powered by an S3 it would literally be at the bottom right now. it wouldn't even compare to anything like the Tegra III or it's succeeding S4. if you wait and get the best that this generation has to offer the longer you can go in the next generation without getting another phone. i'm fine. i can easily wait for OMAP5 powered devices. Since Verizon dropped the ball on the Samsung Note, I hope they can come up with something that will put them up on top. 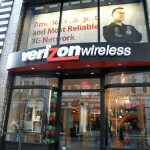 I'm not happy with the devices VZW if offering right now and I'm due for an upgrade. Come on VZW. You have the best network. SHOW THAT YOU DO! Verizon has a great offering. the Galaxy Note is really the only notable loss from their line-up and a selection of Windows Phones but it's understandable why Verizon won't carry Windows Phones until more compelling Apollo devices come out. Brother, I hope your right about the Galaxy Journal. I was almost going to switch over to At&T because of that phone. I pray your right and the Galaxy 3 too. After reading what you wrote, I have an upgrade and I still see nothing. I know you said July or August but damn man, it can't come any sooner. If I don't see the Note/Journal or the 2nd generation of it by December, I'm going to AT&T. Any word on this blue razr?